Finally a filament that utilizes the full potential of the Flexion Extruder. 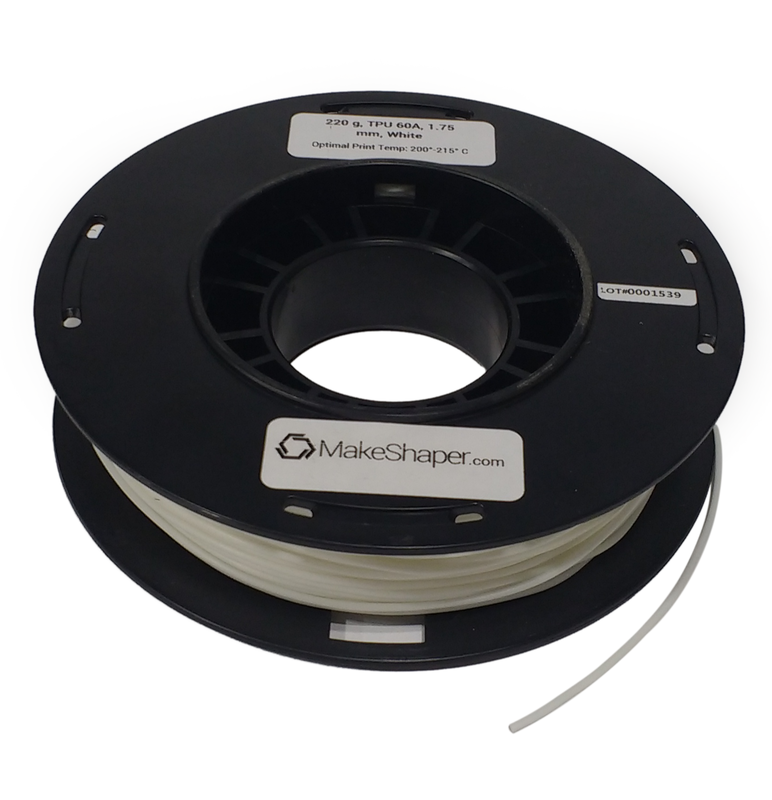 This is, but far, the most flexible filament on the market. It feels like a rubber band, and produces finished parts that are completely tactile, flexible no matter what infill you use, and highly functional for applications that require stretch, flexibility, or compliance. Try it today! 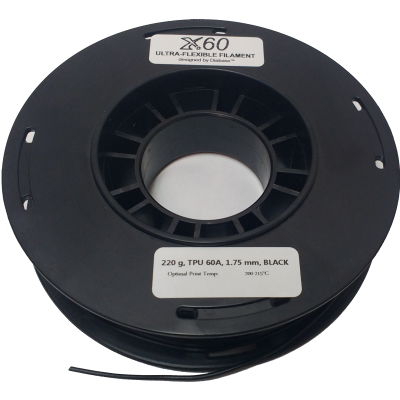 Flexion X60 Ultra-Flexible Filament is the softest filament available on the market today, by far. At Shore 60A, it is much softer than Ninjaflex or Filaflex. It is about the flexibility of an inner-tube. This materials is perfect for that ultra-flexible application: rubbery toys, comfortable wearables, parts that need to stretch to fit, gaskets, releasable molds, and so much more. Only printable with the Flexion Extruder. Recommended for use with the standard hotend (not HT). Print speed – up to 40mm/s. Start very slow (20mm/s) and work up from there. Slow down for bridging and infill. This material is quite safe, relative to other 3D printer materials. As with every material, it is recommended to enclose and ventilate your print. Do not exceed 225C, because the material begins to breakdown into potentially hazardous components. Adjust your filament load temperature to ensure you do not approach this limit. Please find the MSDS below for more details (coming soon).